Wireless printer for a small office. 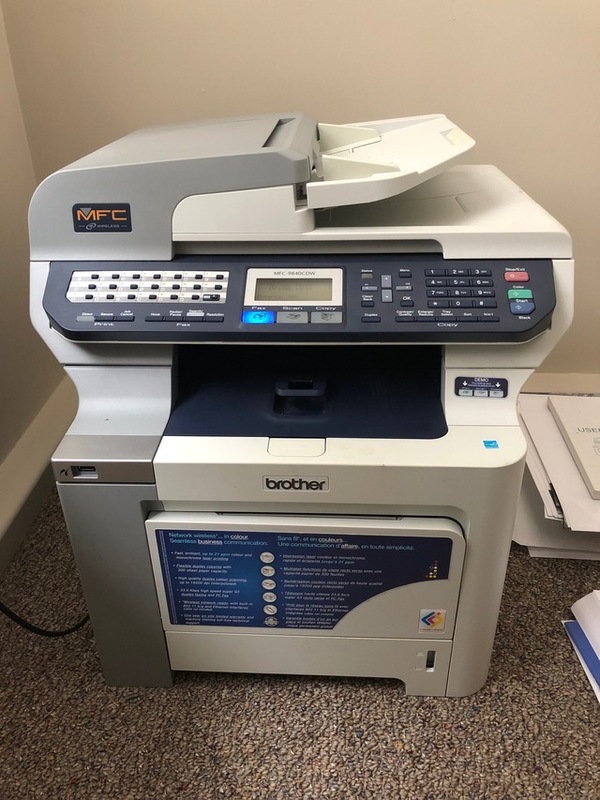 This fully functional printer/ copier / fax / scanner is in like new condition. It has been maintained well and has approximately 1/2 life left in the current ink supplies. This unit does it all and and economically. A real workhorse for an office setting.